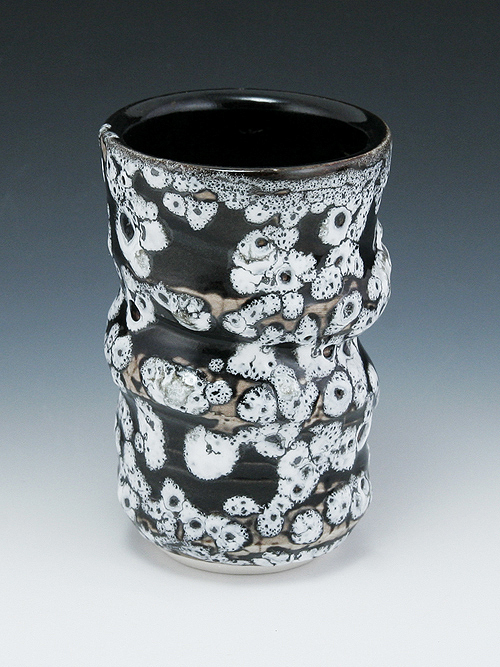 My new favorite wine cup – an experiment using a white crater glaze. Very nice glaze! I like the loose cup shape also and the rim looks like something comfortable to drink from.